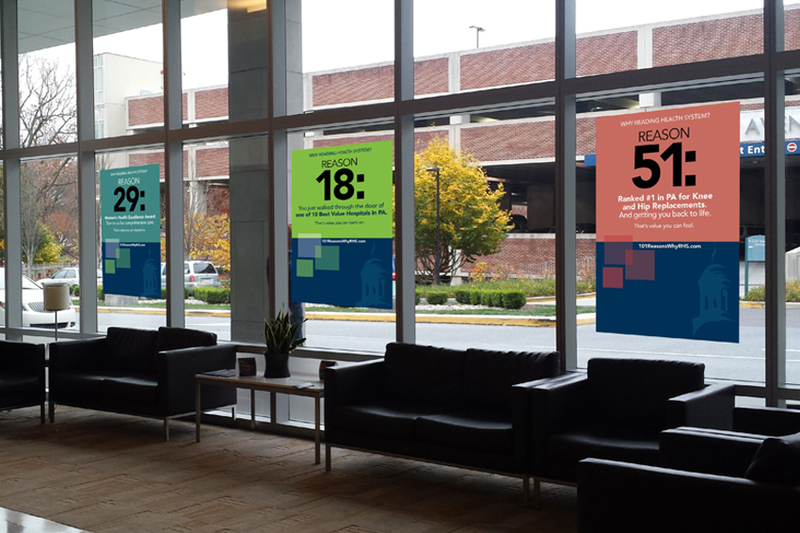 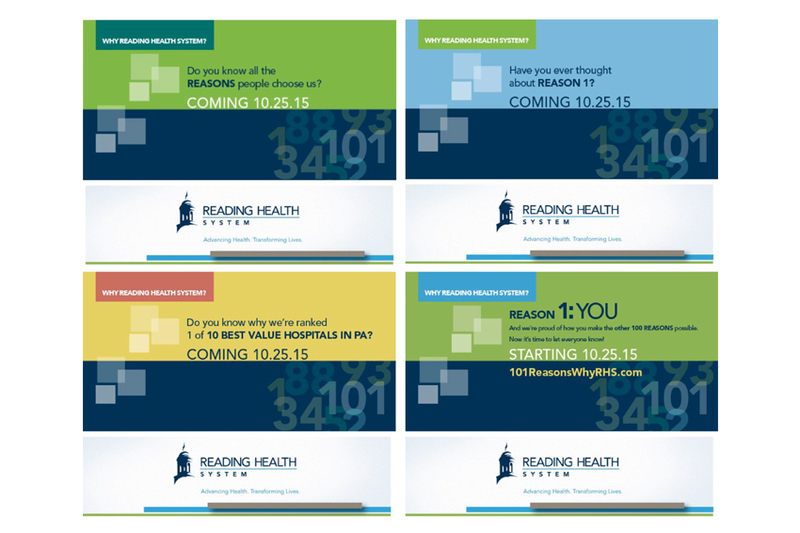 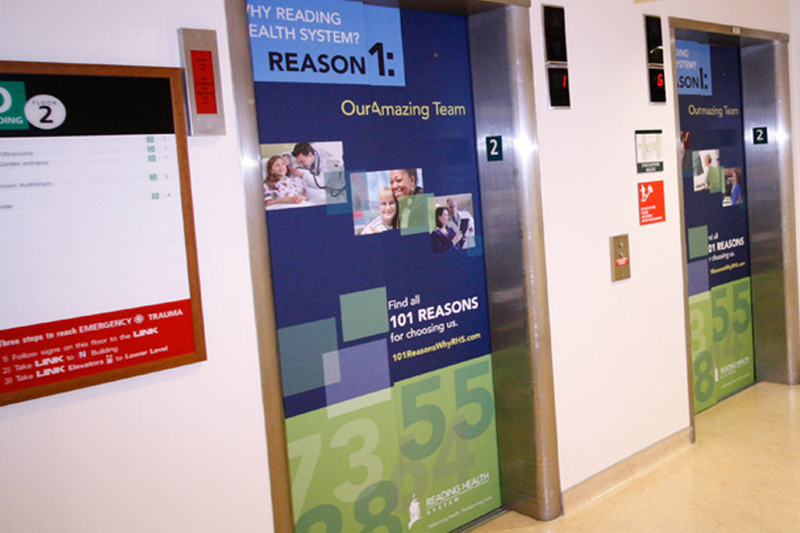 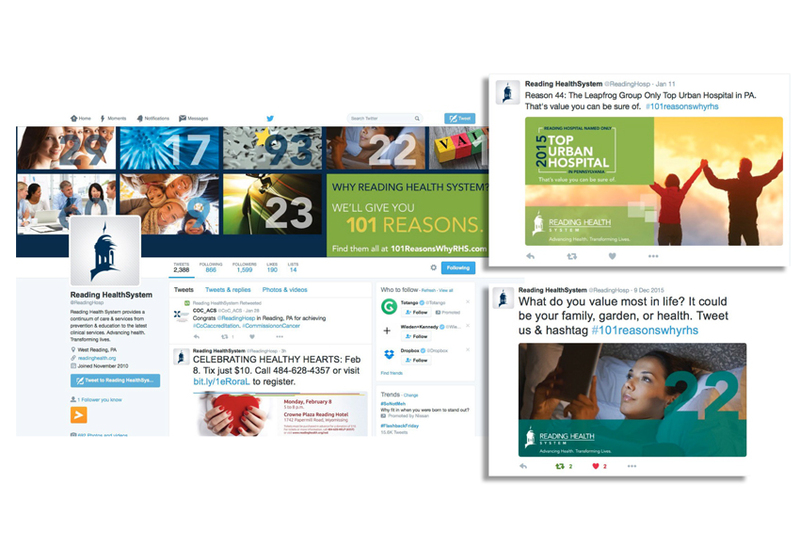 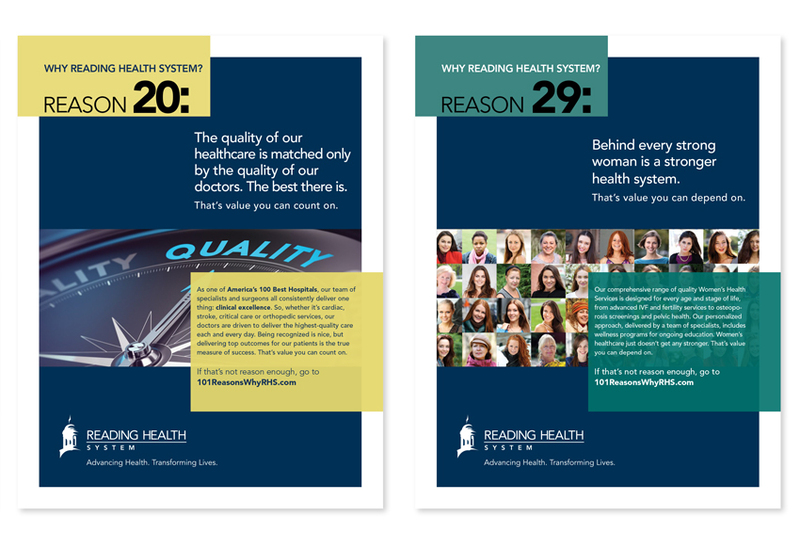 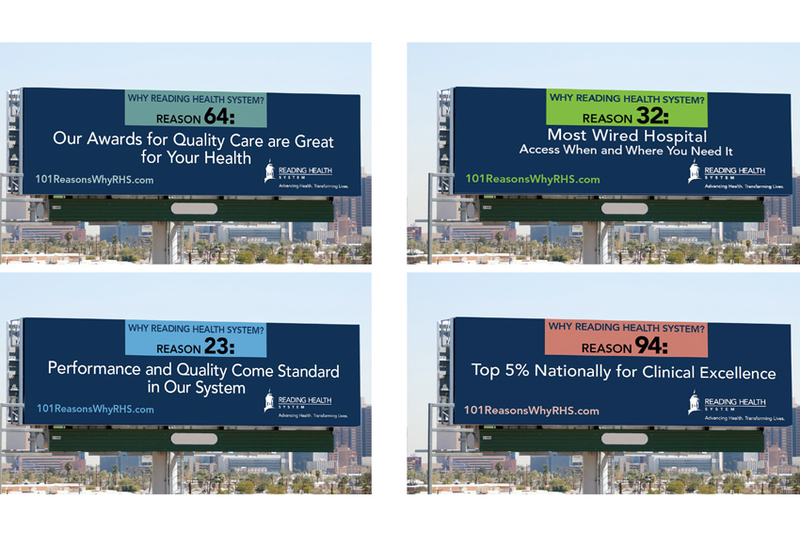 An integrated advertising campaign for Reading Health System, PA.
RHS wanted to educate the consumer about “value” in a healthcare system. 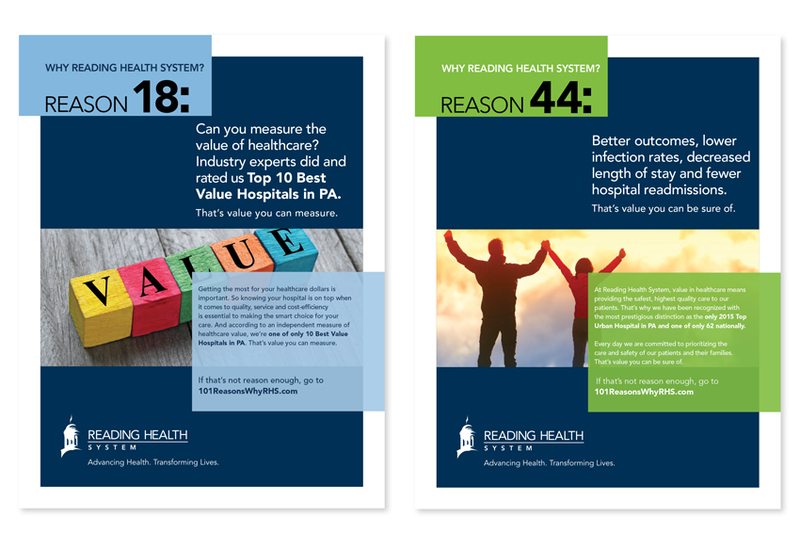 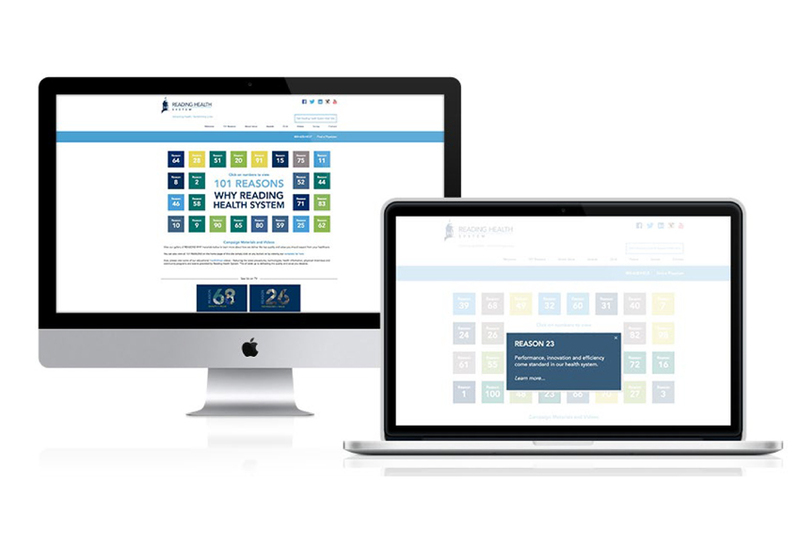 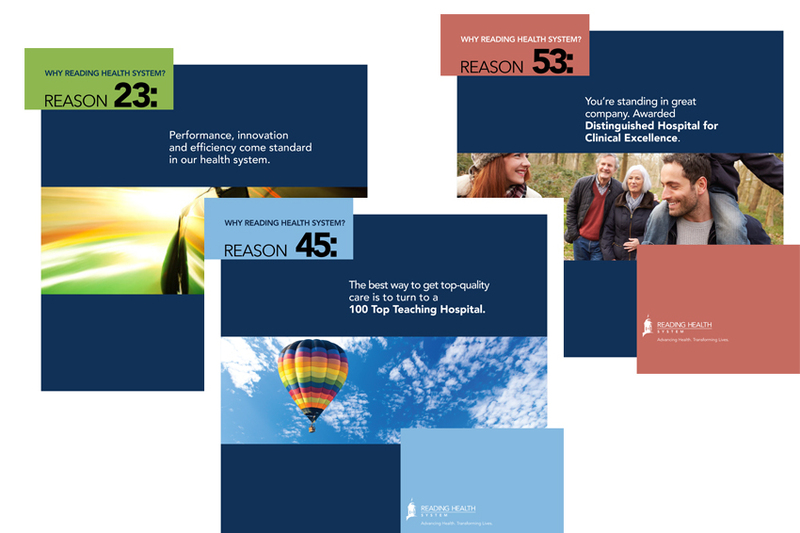 A campaign called “101 Reasons Why RHS” was developed in order to substantiate all the accomplishments of RHS and show them how they add value to their patients’ lives. 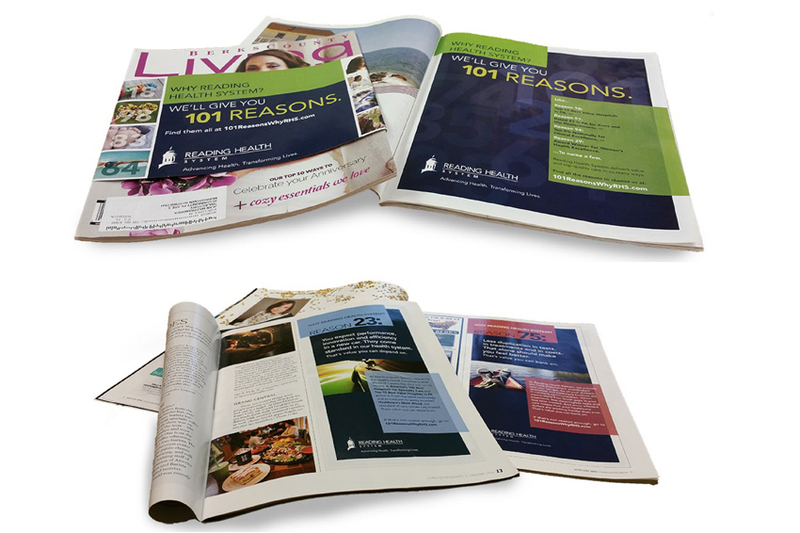 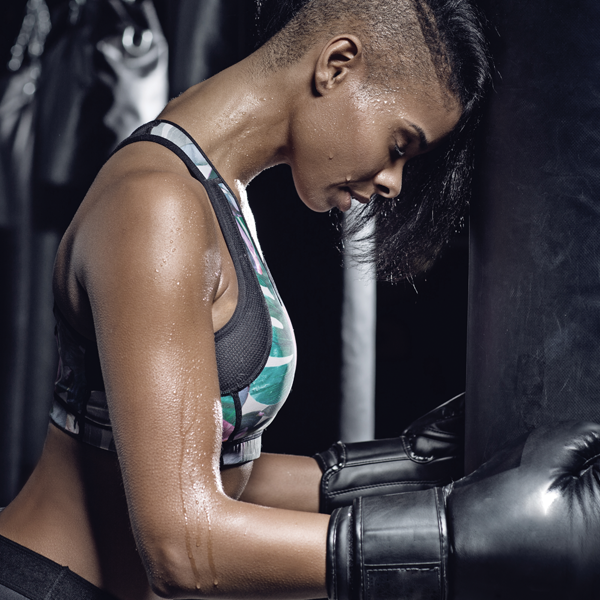 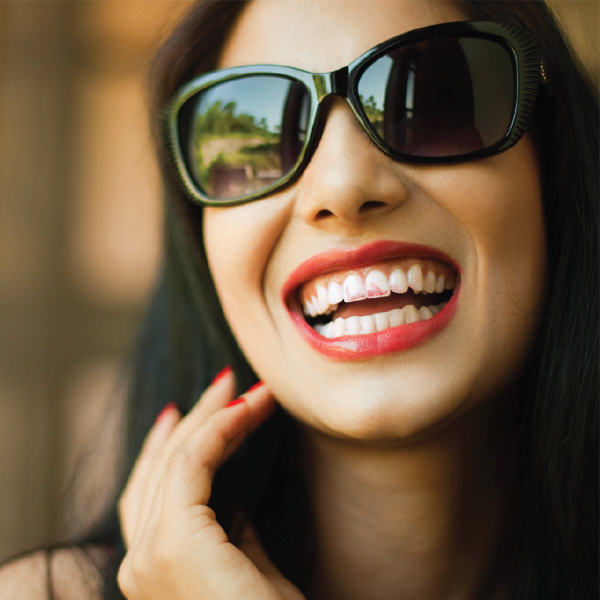 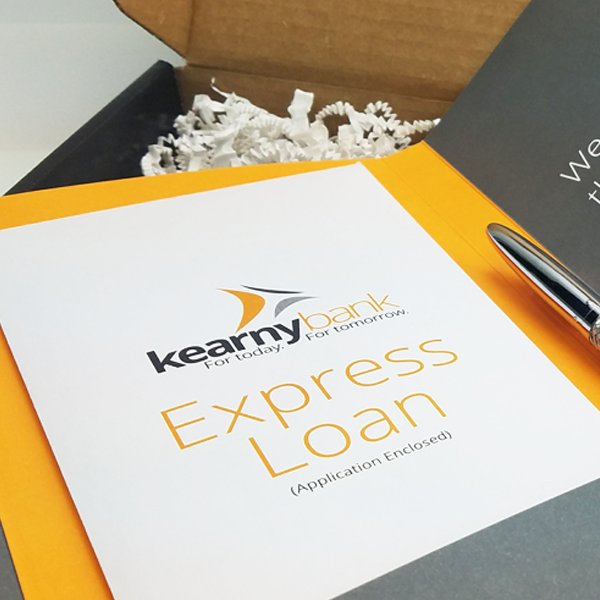 The campaign includes print, outdoor, digital, internal components, social, radio and TV. 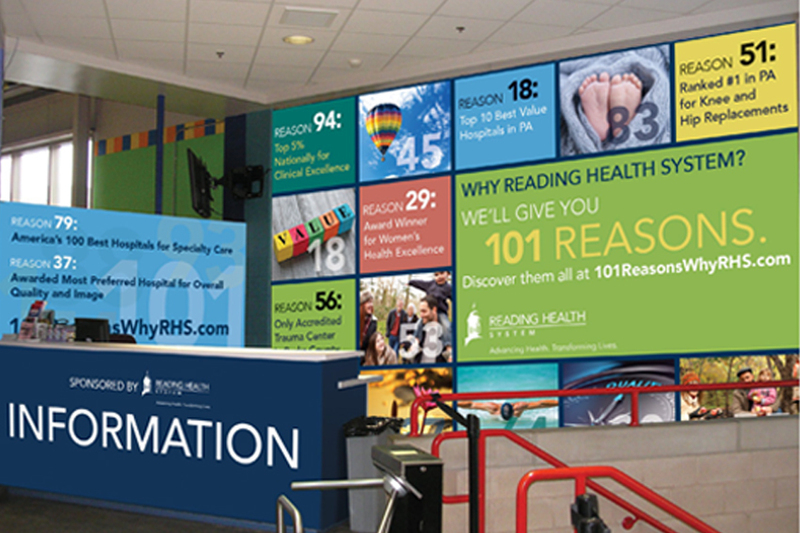 An unprecedented engagement and excitement by employees of the organization, increased consumer traffic to the main RHS website. 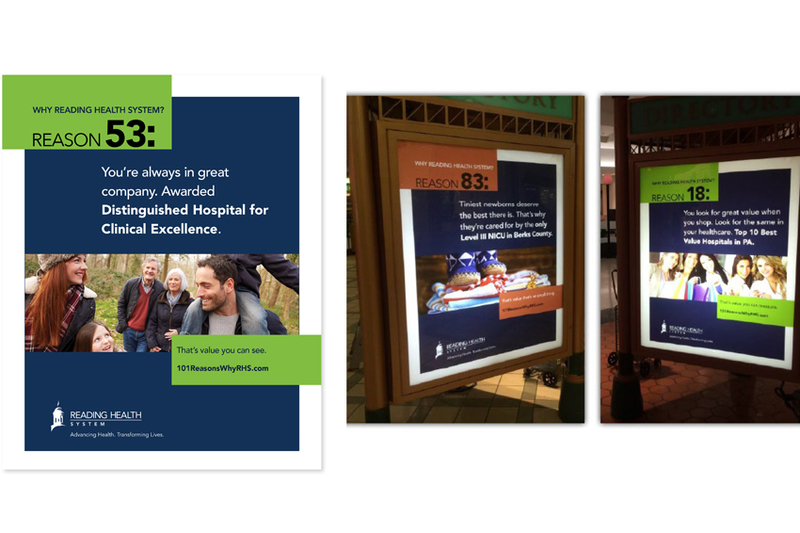 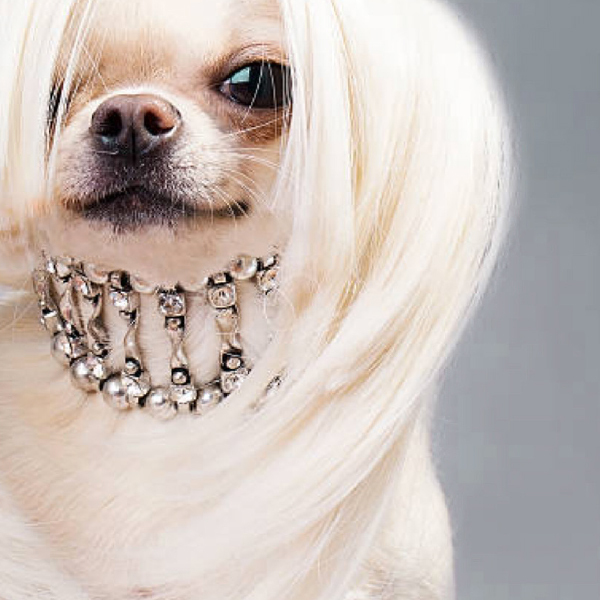 Winner of Aster and Healthcare Advertising Awards. 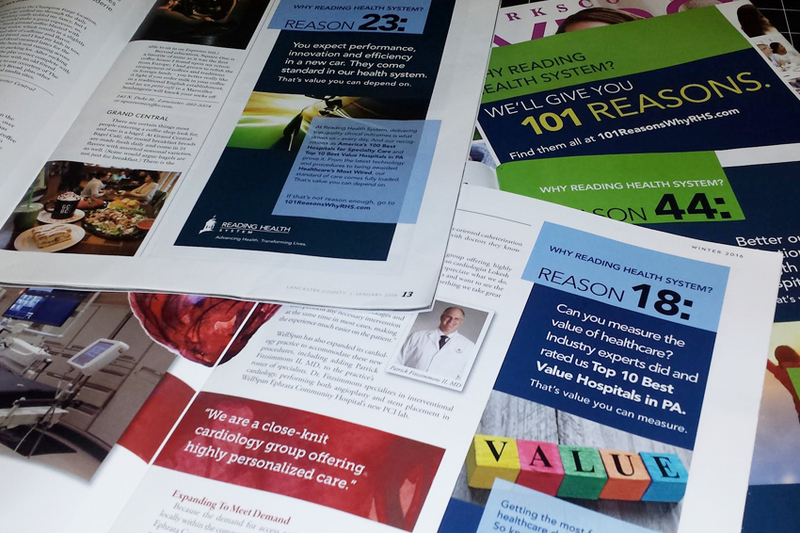 "101 Reasons Why RHS" magazine ads.